Let that be a lesson to you. A person who steals, might black mail you too. BTW - I haven't read the actual comic. So, yeah, there you go. EDIT: I didn't see this coming! The reaction to the strip has been kinda awesome, with people reposting it on Tumblr pages over and over, and even some news sites picking it up! 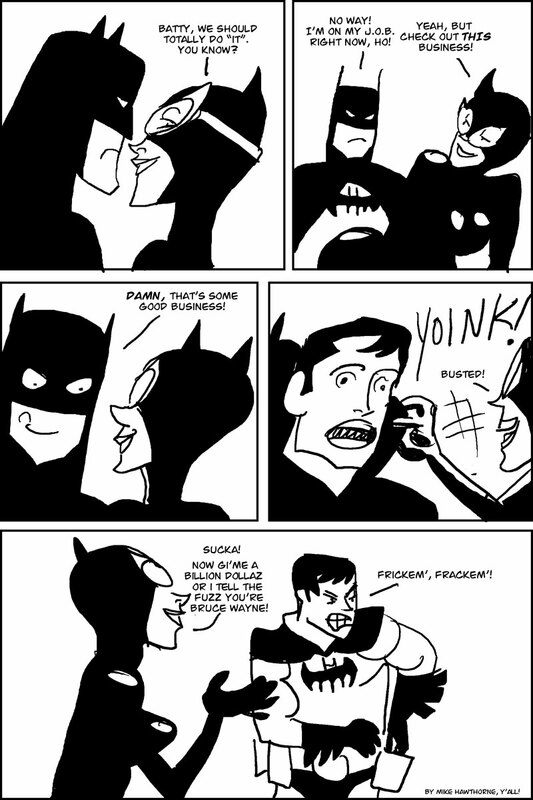 "Mike Hawthorne should be writing Catwoman"
"Catwoman Gets Fixed: The Improved 'Catwoman' #1"
This is classic, man. Classic.